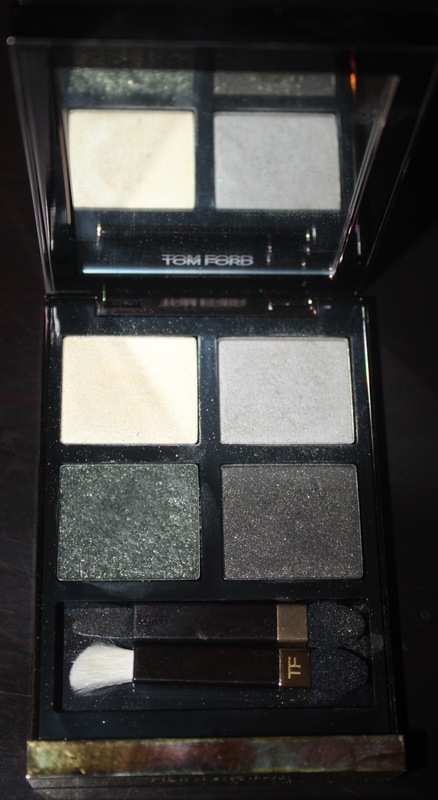 Tom Ford in Sahara Haze is a modern mix of texture and shades, in the green family.This palette is a sultry mix of olive shades. The highlight shade is a yellowed cream, which works with the other 3 shades. The next shade in the top is a satin gray green – quite unusual. The next shade is the usual Tom Ford glitter stunner. It is a lively crisp green that brightens the palette – this shade requires fingers to apply in a patting motion. 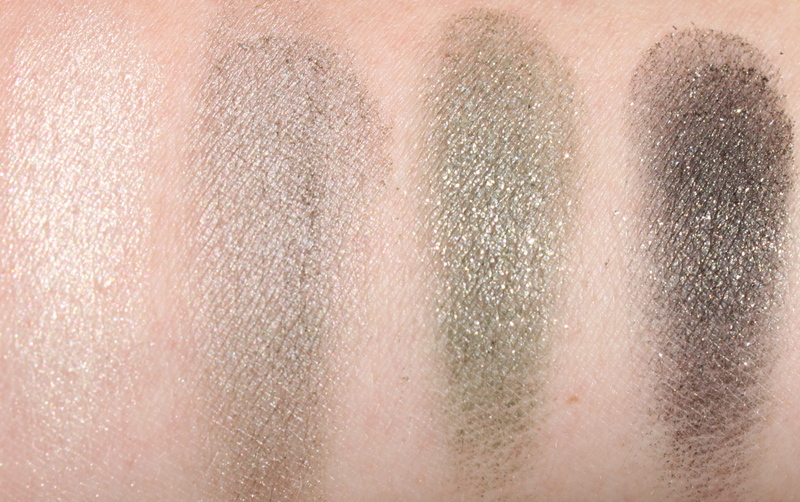 The last shade is a deep olive with pewter undertones . This palette will work with most skin tones and hair colours. My recents ‘oops’ at the hairdresser has left me with decidedly auburn locks with blonde ends (ombre attempt gone bad) so these greens look really nice with my red tones-make lemonade out of lemons so they say…….This quad has a chameleon quality as it sometimes has a silver look to it once applied to my eyes – almost like the colour of wet stone. I found that pairing it with different shades of eyeliner also changes the quality of the shades. A blue liner brought out the same in the shadows. I have not met a TF palette I did not like- this is the most 'sheer' palette of the lot- but I think the softer shades makes it looks sheer- still very pigmented. I love how it reads differently on the eyes. I have brown eyes which seems to temper down the green tones. worth a swatch! Seductive Rose! <3 That one looks really beautiful!